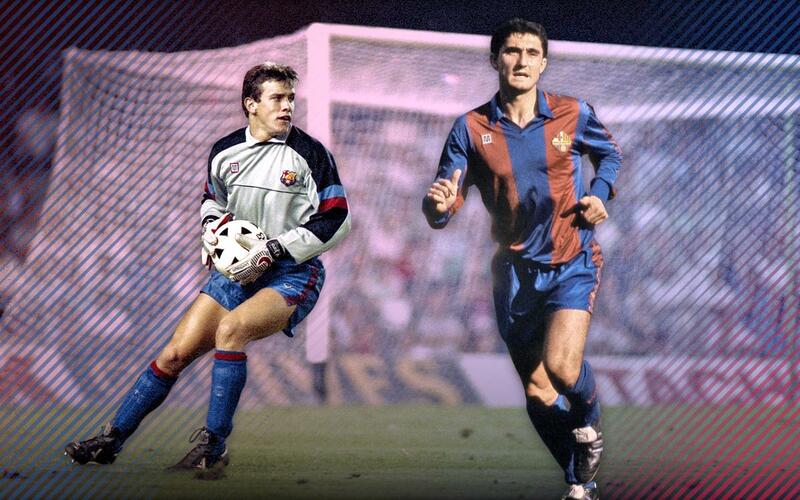 Valverde and Unzué both arrived at FC Barcelona during the same season, 1988. The signings were made when Johan Cruyff was on the bench, and the attacker and goalkeeper played two campaigns together; 1988/89 and 1989/90. After winning a European Cup Winners Cup and a Copa del Rey, Valverde and Unzué were separated. Both coaches know each other very well and forged a great friendship during their time at Barça. "Unzué is a student, and the fact that he has an internal knowledge of the team makes it an advantage," Valverde said at his press conference before the Barça-Celta game earlier this season. The Navarrese was Luis Enrique’s assistant for three seasons (2014-2017), and was also a first team coach between 2003-2010. “He’s still a fantastic person and a friend," Unzué said about Valverde after the previous game. On Tuesday, the match between Celta and FC Barcelona (9.00pm CEST) will be a new encounter between two ex-team mates, who are now rivals. It will also be the fourth confrontation between Valverde and Unzué this year. Previously, they’ve played twice in the Copa del Rey, and once in the League, and so far, the balance of results has been two draws and one win for Barça.